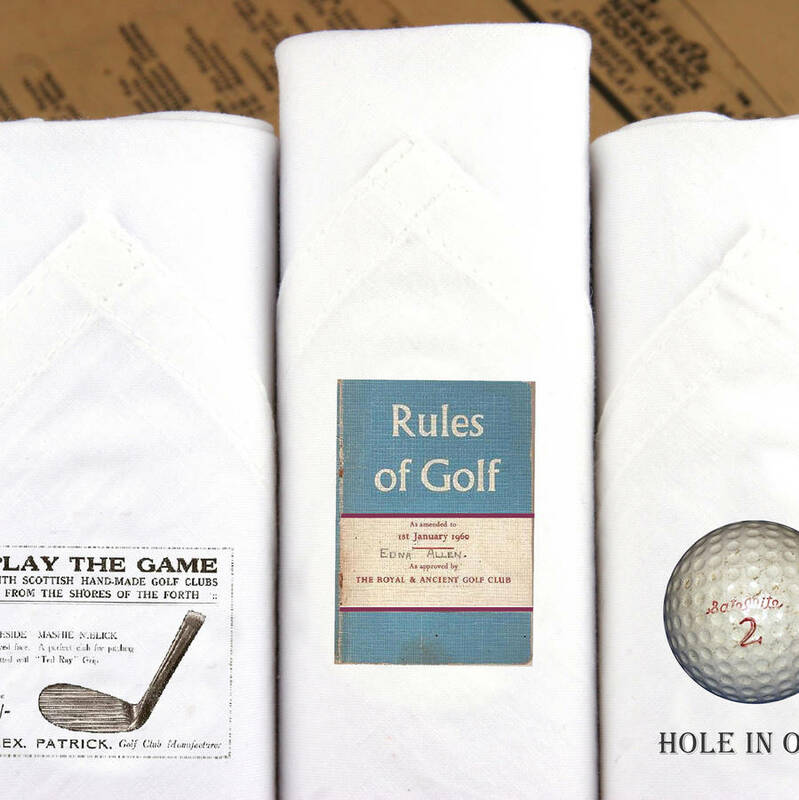 A set of three white cotton men's handkerchiefs printed with 3 Vintage images for golf lovers. Packed in a beautiful handmade gift box. 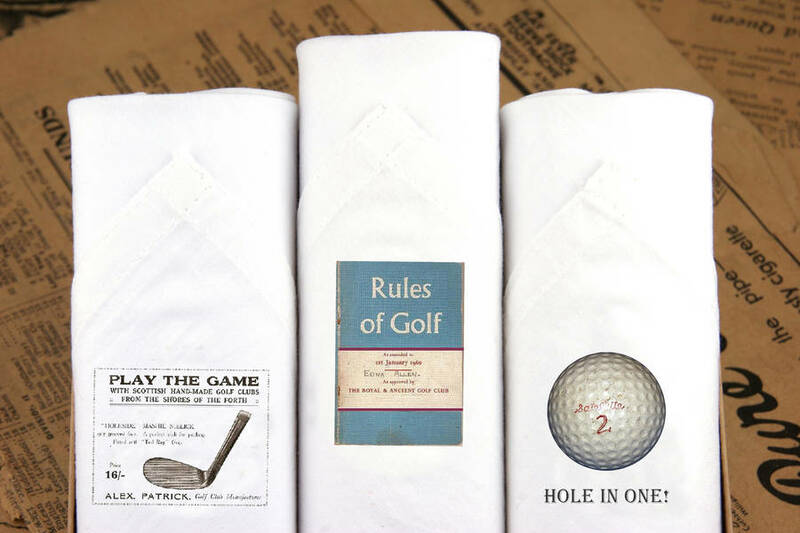 Each image is printed on a soft white Cotton hanky, and then hand packed and rolled into a gift box containing three hankies. 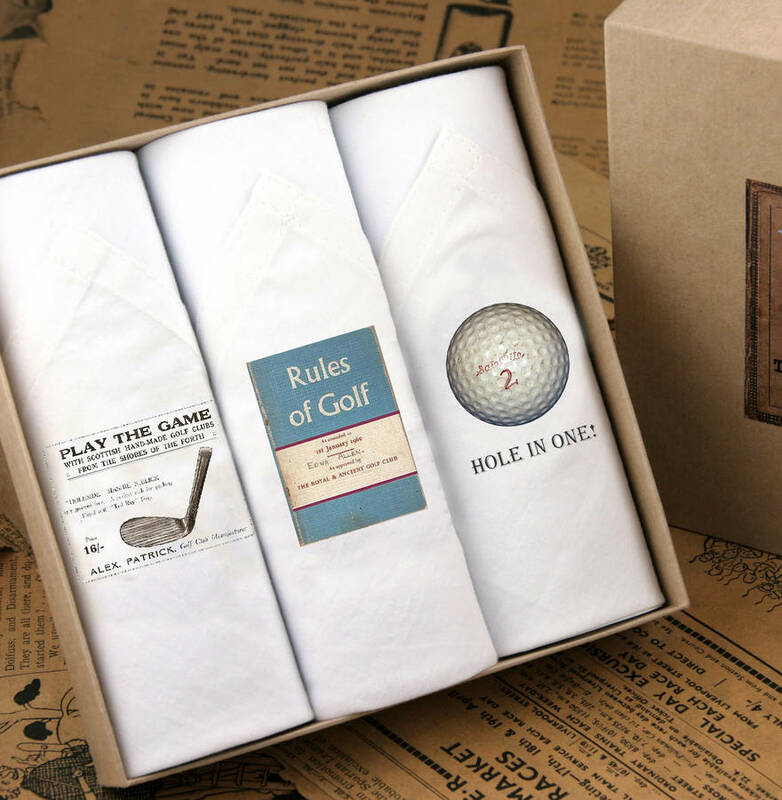 An ideal gift for birthday's, Father's Day, Christmas present or as a stocking filler. 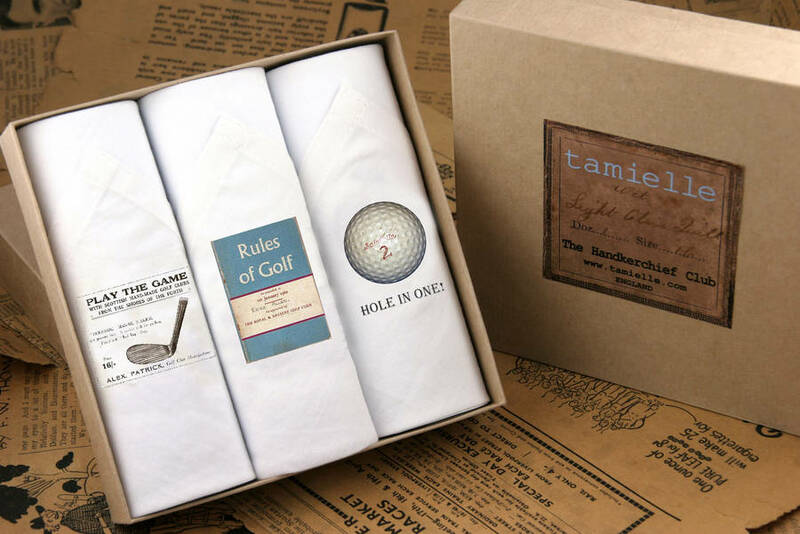 tamielle’s products are much more than a ‘beautiful gift. Behind them is the deep belief that designers can play an important role in creating work for people in need. tamielle’s workshop is functioning in a poor area of Bulgaria. It collaborates with local charities supporting women in need.